Please refer to our stock # FenTOBudV when inquiring. 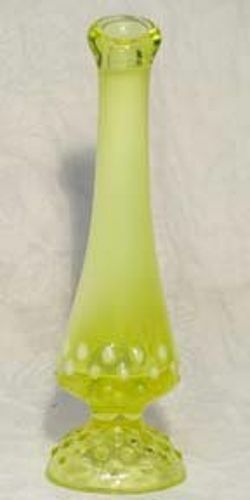 Fenton Topaz (vaseline opalescent) Hobnail Bud Vase is 8" tall and in mint condition. Made in the 1950's.